Armand’s Legion was formed on June 25, 1778 at Boston, Massachusetts under the command of Colonel Charles Armand Tuffin of France, for service with the Continental Army. Armand had previously served in the French Army, serving with the Garde de Corps or household guard to the King of France, however he was forced to leave after injuring the King’s cousin in a duel, heading on to America. George Washington had given permission to Armand to raise a legion in 1776, but Armand did not fare so well and the Frenchman is reputed to have purchased the legion of a Swiss Major. 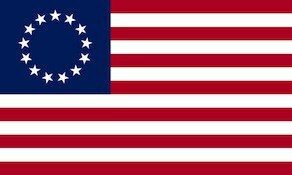 The Legion was recruited primarily from foreign volunteers to the American Revolution. After hard fighting with Washington in the north Armand’s Legion had taken heavy loses, however permission was given for its numbers to be renewed from German POW’s. In 1780 the remnants of Pulaski’s Legion was added to Armand’s Legion. In 1781 the legion was consolidated with Capt. Henry Bedkin’s Troop of Light Horse and was reorganized and renamed the 1st Partisan Corps. The Legion would see action at the Battle of Camden, Battle of Guilford Court House and the Battle of Yorktown. Armand had left the legion just after the Battle of Camden for France to gain fresh funds and supplies, returning to meet his legion at Yorktown’s front lines, participating with them on the successful assault of Redoubt 10.